Online booking of my service appointment was very easy and my experience with the service department was pleasant. ***COULD NOT BE HAPPIER***	My husband purchased a vehicle in January, which we had been experiencing some issues with. The two people who were “assisting” us, definitely did not embody the Lokey customer service experience we were expecting (They will remain nameless for the sake of my review as they are no longer employed by Lokey). It had gotten so disheartening and upsetting for my husband that I took on the role of contacting the dealership for our needs. When I did, I was assisted by Robert Remeikis. In the short time Rob and I worked together he completely changed my husband and I’s opinion on Lokey. He went above and beyond to ensure he righted the wrong we had encountered with the previous people we had worked with. His level of professionalism, customer service, communication and personability was very uplifting. I could not be happier that our paths crossed as he truly did turn this into an incredible experience. We were also assisted by Peter Draper when we visited Lokey, who was a joy to say the least. Their teamwork, coupled with all of the work and effort that went into ensuring our happiness is to date something we were not only taken aback by; but also something we have yet to experience at any other dealership we have worked with. (My husband goes through cars every 2-3 years so that truly says a lot). 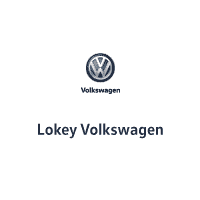 After our most recent experience with the Lokey VW team yesterday, April 15th, 2019; I am extremely happy to say that we will be continuing to utilize Lokey VW for our present and future needs. We live about 45 minutes away, but it is more than worth the travel! Rob, Pete and the entire Lokey team have our sincerest gratitude and respect for their outstanding customer service; this truly turned into a memorable experience. Thank You Rob and all of Lokey VW!! You know I have rarely had the privilege to alter a review after having a less than stellar initial experience. However, Lokey has gone far above any reasonable expectation to change my experience. I have never really experienced anything like it and to be honest I am quite taken back by the whole thing.So why am I writing this? I believe that more than the 500 dollars here or there what people really want is peace of mind. You want to know that if something goes wrong that a company or group of people will try their best to make it right. That has been my experience here. I worked with Rob and he went above and beyond (perhaps even a little too much) making sure that we we were happy customers.We will continue to shop here thanks to the efforts of Rob and his staff like Peter, who all contributed to what has become a stellar experience. Thanks for listening and working hard to deliver an exceptional customer experience. The personal never hesitates to assist the customer. They are looking to make sure that you feel at home. They are so friendly and treat you like family. I love it. Great staff, great selection, no pressure sales, felt comfortable dealing with all the staff and with the process. I would recommend this dealership to anyone. Lokey Volkswagen is Home to All Your Volkswagen Needs. 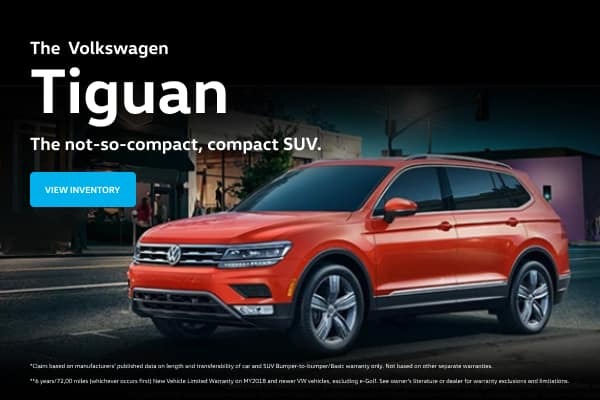 Visit us and test drive a new 2018-2019 Volkswagen Atlas, Jetta, Passat, Tiguan, Beetle, Golf SportWagen or Touareg. At Lokey Volkswagen our friendly professionals are available to ensure that all your questions are answered, while giving you the opportunity to peruse the Volkswagen at your liberty. When a vehicle’s caught your eye, simply catch our attention; we’re happy to schedule a test drive at your convenience. If you’re looking for something well-loved, something with a little more character, then our used Volkswagen models are sure to please. Your satisfaction is our goal with any in our wide selection of used vehicles, so leave your lemon-related fears at the door and come find that perfect pre-owned gem you’ve been searching for. Our Lokey Volkswagen finance staff can take it from here to find a car loan or lease option that works for you. Sure, they’re handy with numbers, but when it comes to serving our Palm Harbor, Largo, New Port Richey, Tampa, Brandon and St. Petersburg customers, you’ll find that every member of the team is a people person. And when it comes to securing low interest rates, their powers of persuasion will prove it. The best part is, after spending a little time ironing out the finances you can hop in your new Volkswagen and show it off. Commitment to your new Volkswagen from Lokey Volkswagen continues after you drive it out of our showroom for the first time. We want to make sure you get the most out of your vehicle and enjoy it for many years to come. You can find that support in the form of Volkswagen parts for your vehicle needs. And, if we don’t have them, we’ll order them for you. There’s also car service from our team of maintenance specialists who will have your vehicle primed to perform at all times with routine repairs, checkups, and more.